Welcome friends to our first Craft Night! Our project tonight is a charming Wine Glass Succulent Garden. Join us this evening from 6-8pm, as Rachel teaches us to make these whimsical little gardens which are great for adding cheer to windowsills and work desks, and are sure to make you smile. Rachel will teach us how to re-purpose a chipped, or old wine glass and turn it into a charming little succulent garden, dirt and all. We provide all the supplies needed, you get to sip and craft, and take home a live garden. 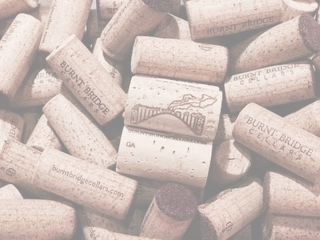 The class participation cost is $15/person, and includes a glass of your favorite Burnt Bridge Cellars wine, provides all the supplies needed for the project, and you'll take home your very own succulent garden! All are welcome to join in the fun, sip and craft!